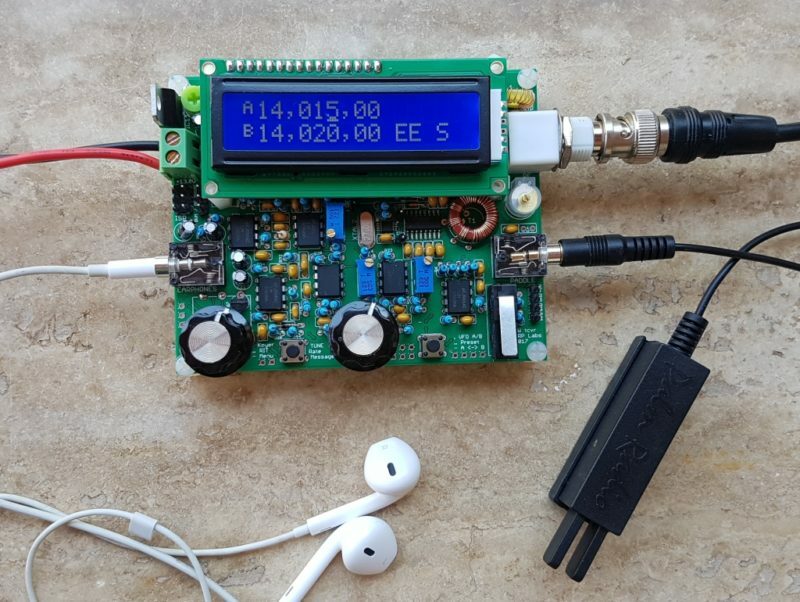 The “QCX” is a 5W, single-band, high performance CW transceiver kit with WSPR beacon, and built-in alignment/test equipment. It is available for 80, 60, 40, 30, 20 or 17m bands. See below for the long list of features! This is a kit of parts that you assemble yourself. There are NO surface mount components to solder (two SMD ICs are already factory pre-soldered). We do not currently have any enclosure available for this kit, it may be something we investigate in the future. Check the manual out, it’s 138 pages! Even a rank beginner can successfully build this rig. Thank you for the tip, Pete! That’s an amazing amount of transceiver for the price. You’re right, I believe even a new kit builder could build this transceiver. This entry was posted in CW, Kits, News, Product Announcements, QRP and tagged Pete (WB9FLW), QCX, QCX Transceiver Kit, QRP Labs. Bookmark the permalink.